Metron (Seijin) is an alien lifeform from the 1967 sci-fi TV series Ultra Seven. 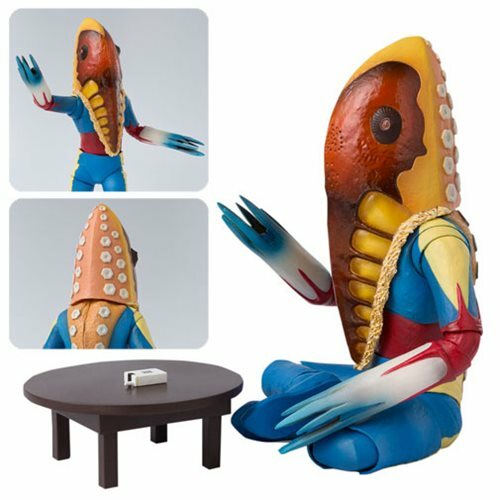 A highly accurate and posable replica of the classic character seen on screen, down to its ability to sit cross-legged at a low table, the Ultraman Alien Metron SH Figuarts Action Figure measures about 6 3/4-inches tall and includes the "chabudai" low table and tabletop prop as seen in the show! Ages 15 and up.